Introducing “Blue Island”, a fabulous 700 acre Private Island with a brand new 5700 foot asphalt Jet Airstrip. The island is located in the exquisite Exuma Cays of the Bahamas. Blue Island has over three miles of beautiful coastline and white sandy beaches, elevations to 100 feet and numerous private beachfront homesites. The Exumas have long been known as home to some of the most beautiful waters and beaches in the world and home to a very few, and a very sophisticated luxury property owner. 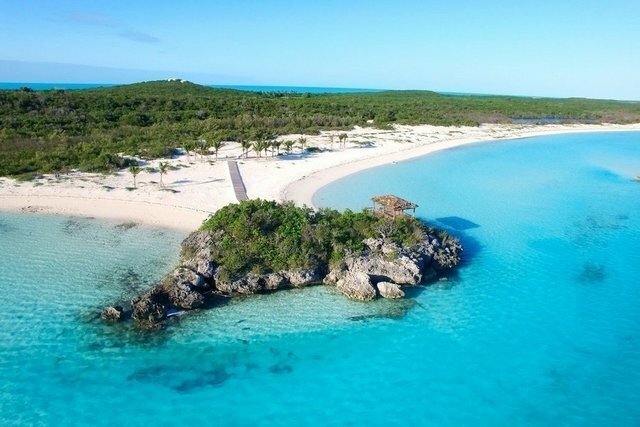 Blue Island is the largest private island available in the Bahamas and the only one in the entire Caribbean that has its own private jet landing strip. Access to this beautiful private paradise is fast, easy and discreet from the US or Europe via private or chartered jet. Customs and Immigration is available on island for a seamless arrival and departure. Blue Island will make the most impressive heirloom private property for the most discerning individual or could also be developed into a luxury hotel getaway. The Bahamas government is very encouraging to Foreign Direct Investment. There is an existing Main House, Staff House, 4 miles of roads, power, water and communications. Contact Steve.Donovan@SIRbahamas.com c. 928.202.7765 for more information.